Malkit Shoshan studied architecture and urban planning at the IUAV (Venice, Italy) and at the Technion (Haifa, Israel). She is the founder of the Amsterdam based architectural think-tank FAST, the Foundation for Achieving Seamless Territory. Her work explores and highlights the relations between architecture, politics and human rights. She is the author of the award-winning book Atlas of the Conflict, Israel-Palestine (2010), and of Village (2014). 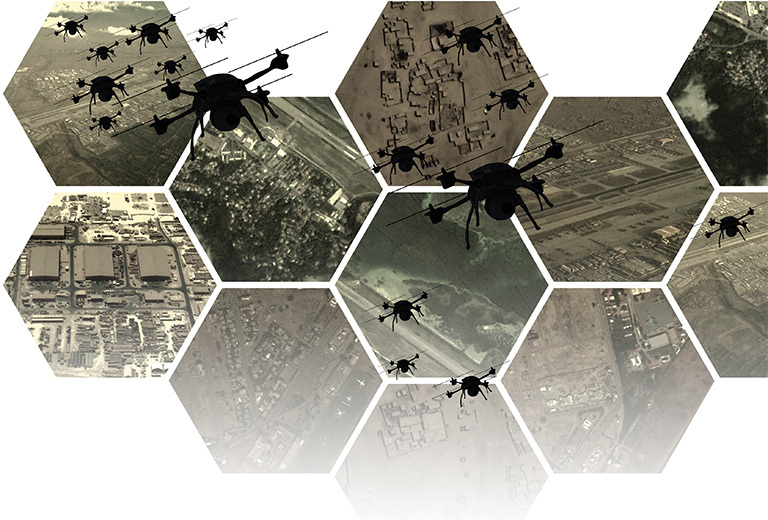 In the past year, as a research-fellow at Het Nieuwe Instituut in Rotterdam, she developed the long-term research ‘Drones and Honeycombs’, a study of the contemporary architecture and landscape of war and peace. It included the intervention ’Design for Legacy’; the seminars ‘Drone Salon’ and ‘Missions and Missionaries’, and the installations ‘2014-1914: The view from above’. She is a member of the editorial board of Footprint, the TU Delft Architecture Theory Journal. Her work has been published in books, magazines, and newspapers such as SQM:The Quantified Home, Volume, Abitare, Frame, Monu, Haaretz and NY Times; and exhibited in venues such as The Venice Architecture Biennale (2002, 2008), The Venice Art Biennale (2007), The Netherlands Architecture Institute (2007), Experimenta (2011), NAiM/Bureau Europa (2012) and Het Nieuwe Instituut (2014). http://seamlessterritory.org/in-the-name-of-peace-another-civic-an-other-law/.